I certainly hope that Santa doesn't only bring gifts to faithful bloggers! If so, I think I might come up a little short this year. My only New Year's Resolution was to blog every week, (beside the basics, lose weight, eat better, get taller...) and it lasted thru April, sort of.. The end result is, I have a lot I want to say. Thanks to friends, I have had an amazing year. 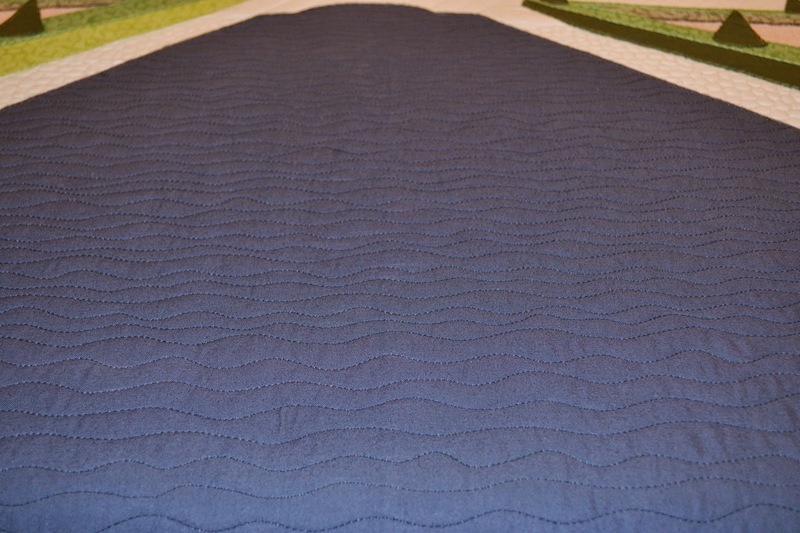 I had the privledge of working on a few Quilts of Valor, I won a few awards, I bought a second longarm, the longarm classes I teach have been in demand and a Modern top I quilted was published in a book!!! Today I want to talk about the book. 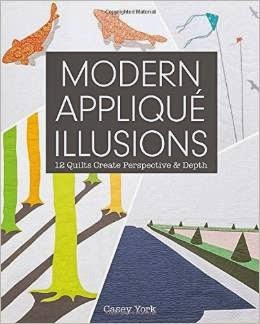 Last year my friend Casey York asked if I would quilt a top she made for her book "Modern Applique Illusions". I jumped at the chance, I love her quilts. Casey has a background in Art History and draws her inspiration from her love of art. 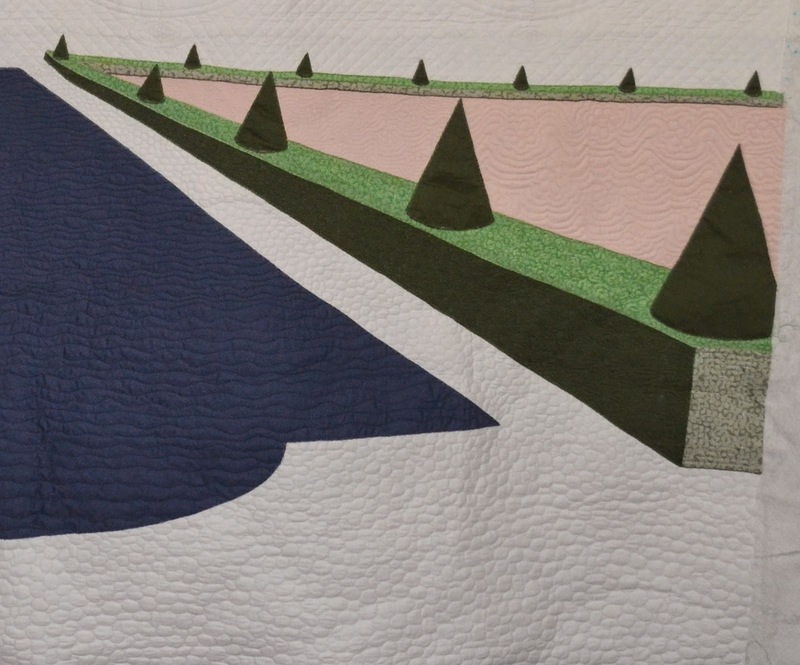 Visit Casey's blog to read her vision for this quilt. The Studiolo While you're there, check out some of her other quilts in the book. She explains her concept for these quilts. I enjoy reading about the thought process behind a quilt design. Casey and I met for a little brain storming session. With the top laid out between us, we immediately started throwing out ideas. 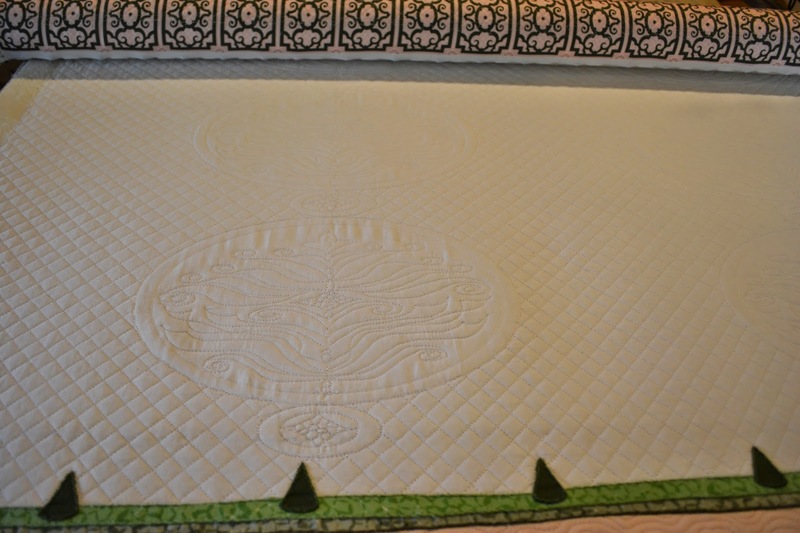 Casey had a definite vision for the quilting, and I saw the direction the quilting needed to go to meet her vision. Our ideas meshed perfectly. 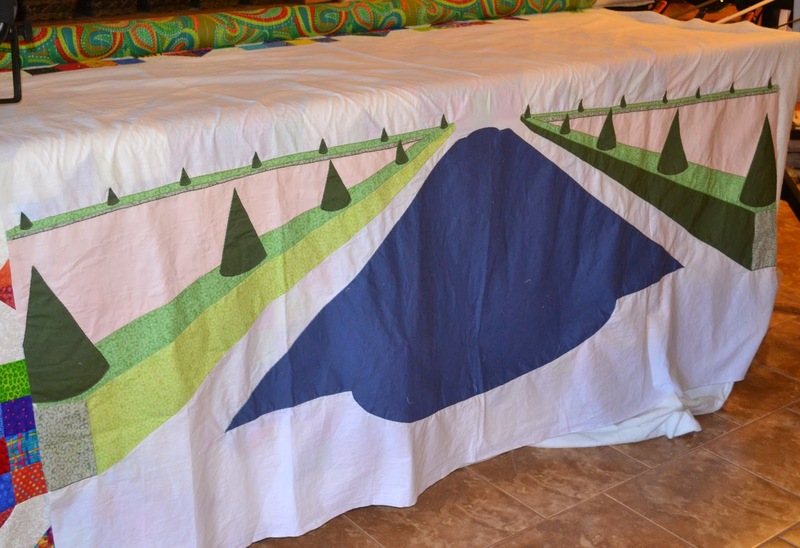 I laid the quilt out on my longarm. 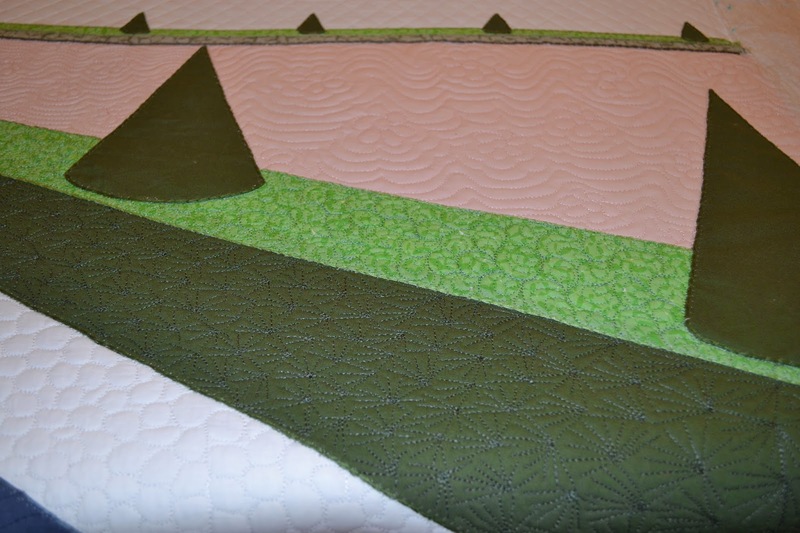 I like to look at a top for awhile to get the "feel" of it before I start stitching. 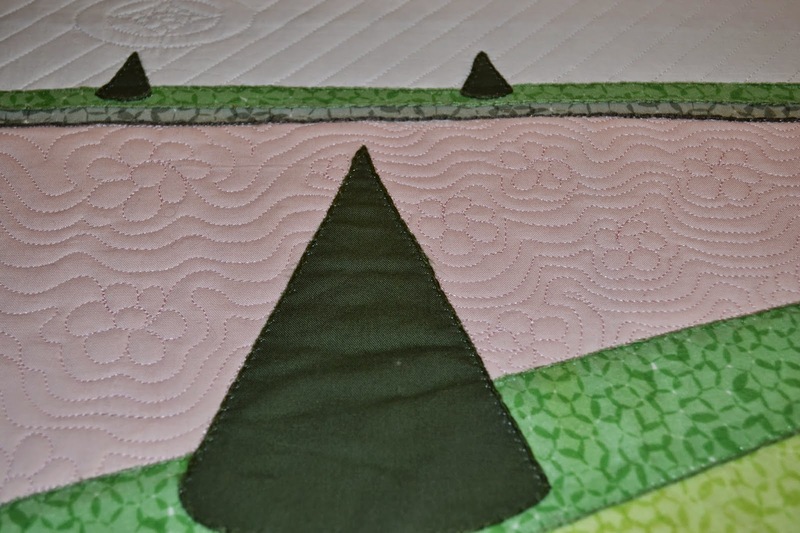 I quilt on BeBe, a Gammill Classic Plus Hand Guided system. Casey wanted the top half of the quilt to be a little more formal and had the idea of a repeating Damask pattern. After looking at pages of Damask wallpaper, I designed a quilting motif I hoped she would like. With a few tweaks here and there, it was ready to quilt. Cross hatching in the background completed the design, accentuating the Damask motifs. with Grand Canal on the cover!!!! HOLY CAMOLY! A blog post from my very talented friend! Great job Ann...........AS USUAL! 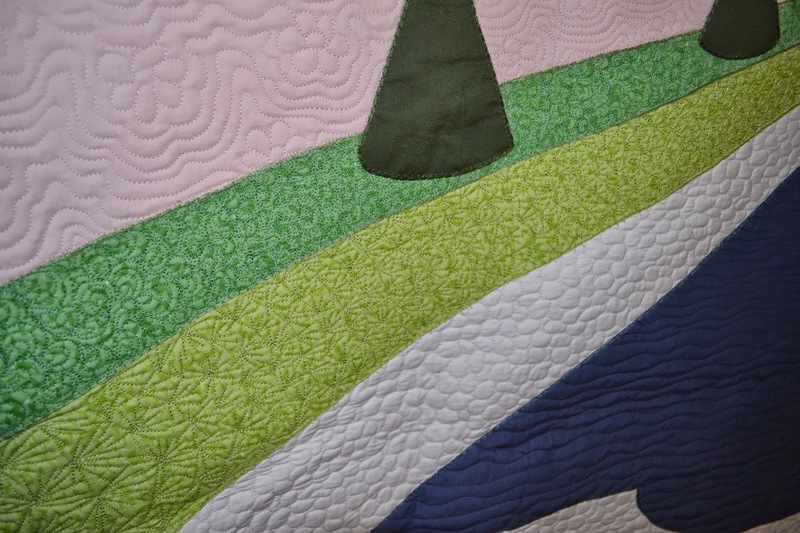 Your quilting is pretty much AMAZEBALLS!